Spring testing is right around the corner. 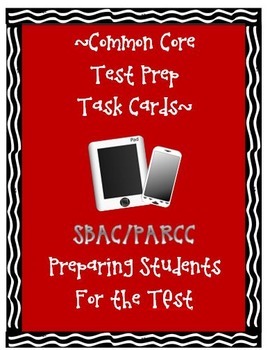 For the first time, many states will be administering the SBAC or PARCC exams. Because this is a new way of assessment, and there are accountability measures put in place for teachers and administrators, districts are looking for ways to help their students do well on the exams. Being a pilot school last year for the SBAC, we have some tips that will be helpful for you in assisting your students to do their best. Below are our top 5 test taking strategies. Since these tests are computerized, students will need to be proficient in keyboarding. Students that do not know the basics of typing will struggle with adding content to their answers. We suggest starting to practice as soon as possible. If you have a computer lab in your school, try to spend at least 30 minutes a day right up to the test practicing typing. If you do not have a computer lab, but have a mobile cart with laptops, that will work as well. Our school even has old Alpha Smarts which are just keyboards with a little screen in the window for the students to see their typing. If you are fortunate enough to have iPads or ChromeBooks with keyboards, then those would be excellent to practice with as well because the tests can actually be taken on those devices. Plain and simple, practice will help your students become better at keyboarding which will help them produce longer, more detailed answers. We all know the importance of reading directions, but it can’t be overlooked on the exams. The directions on these exams may have more than one part, and may require students to do things that they haven’t had to do before. For example, students may have to: highlight, underline, strike through, and even cut and paste. It would be a great idea to have students practice reading directions out loud, discussing what the directions ask for, and then having them complete the task correctly for practice. We have a great “Reading Directions” activity that you can download here to see how well your students do read directions. We have used it in the past on April Fools’ Day, but feel it would be great to do before the exams. One thing we noticed on the SBAC pilot exam was the amount of informational text (non-fiction) on the reading/writing portion of the test. We realized that we had to start spending more time in the classroom not only reading informational text, but also teaching our students reading strategies that would help them understand what they were reading. This year, we started subscribing to Scholastic News and using these articles on a weekly basis with our students. Each magazine comes with a teacher’s guide that has Common Core aligned questions all set to go for the teacher. We also have developed Informational Text Task Cards that you could use with any informational text or classroom magazine (Scholastic, Time for Kids, National Geographic…). There are 32 task cards that students can use with any article. Common Core reading skills such as: inference, author’s purpose, main ideas/details, identifying words, text structure and more are used with the cards. 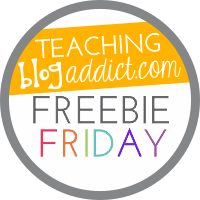 There are also many creative task cards that your students will enjoy such as: scavenger hunt, highlighter magic, stumpers, airplane fun and more! Close Reading is the latest buzz phrase in education today. But it is something that most veteran teachers have been doing for most of their careers. Basically, close reading is careful reading and re-reading of text. The first step is always to introduce the text to the students. Ask the students what background knowledge they have on the topic, discuss any key vocabulary words, and set the stage for reading. For the first read, students are reading to gain an understanding of the text. They can underline key concepts, circle words that are difficult, or make marks with any other text they want to share. For the second read, the students share their thoughts at the beginning from their first read, and the teacher helps the students focus their thinking on key questions (now aligned with Common Core Standards). The students look for this evidence in their reading and underline it. For the third read, the teacher has the students dig deep with the questions from the day before, and may even have the students use written responses to Common Core questions. Close reading is a great strategy to use to help prepare students for the exams. The final idea we would like to share are 6 simple task cards that we have created to help students with keyboarding, reading directions, highlighting, strike through, bold words, and close reading. These are all essential skills that students will need to know to use for the exam! Your students can work on either alone, with partners, or in small groups to help them prepare for the exam. These 5 tips should help your students to be more successful on the spring tests. Good luck! This was extremely helpful for my child… Thank You!